SULKY-Clear, non-toxic, odorless, disappears in 2-5 days. Does not stain or gum up the needle. Repositionable, eliminates pinning patterns. 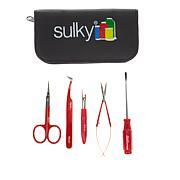 Used for trial fitting of hems, darts, pockets, shoulder pads, embellishments, and appliqueing. 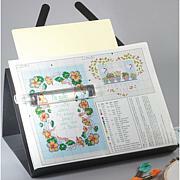 Great for quilt basting and securing templates. Even holds stencils in place while painting. 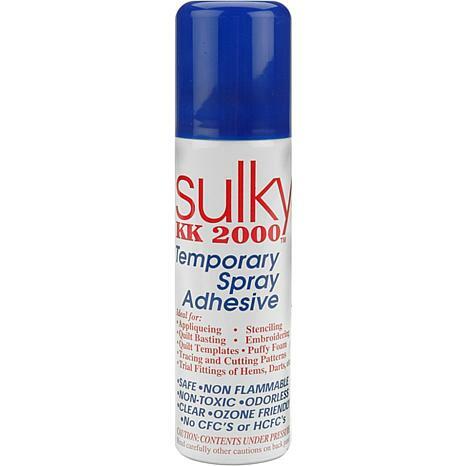 This spray adhesive comes in an aerosol can and contains 4.23oz. Imported. Comes in an aerosol can and contains 3.6 oz. This is the best spray adhesive I have ever used and will buy again! 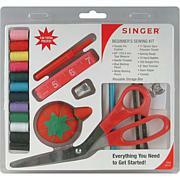 I have tried other adhesives in the past and this is the best one for embroidery use! It does everything it says. I am very happy with the results and would purchase this item again. Love this stuff. Makes putting quilts together much easier without all the pins. Use it all the time for my projects. DRITZ-Ergonomic Seam Ripper. Special ergonomic tool designed to eliminate stress and strain on hand and wrist. 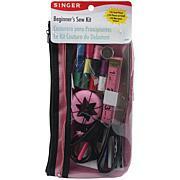 Seam ripper has a conical shape with soft finger grips that provide a comfortable grip. The handle can be extended by attaching the transparent cap to the base of the handle. Imported.